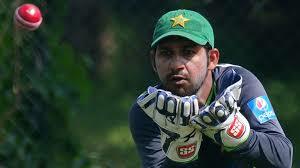 Lahore, The captain of Pakistani cricket team, Sarfaraz Ahmed that the conditions in Zimbabwe could be surprising. During the previous two tours, they witnessed the different pitches and the toss can also play important role. He talked with media in Gaddafi Stadium and said that they are not making big changes in the team for the preparation of the coming world cup. The players are playing together from last one and half years. The players like Fakhar Zaman, Babar Azam, Hassan Ali, Shadab Khan and Shoaib Malik became the permanent part of the national team. Sahibzada Farhan has been selected on the basis of his performance and he will go with the team as the third opener. Muhammad Hafeez is also added in the national team and the batting and bowling of Pakistani team will be strong with his inclusion in the national team. Yasir Shah is the best bowler for the test matches and he will also be tried in the one day international matches.